City Arctic Air Transport. 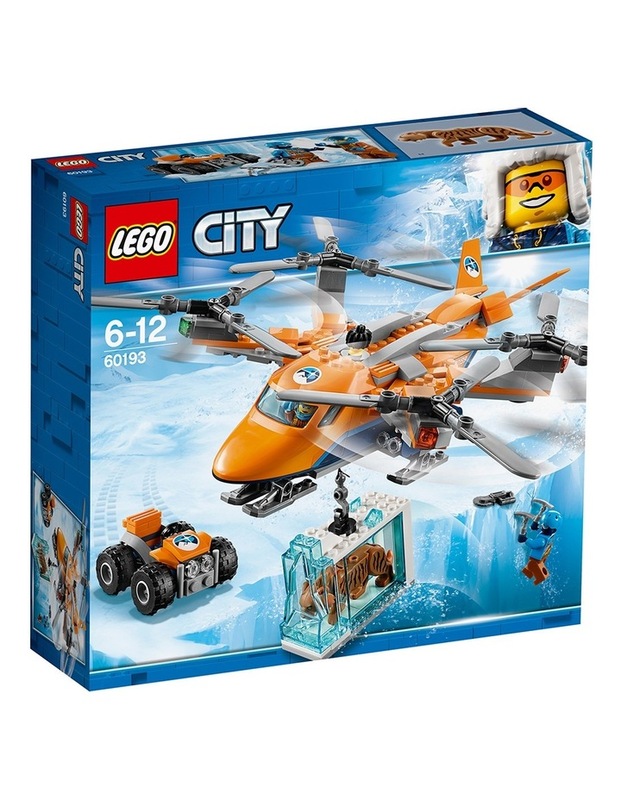 Call the pilot; we are hauling something big with the LEGO City 60193 Arctic Air Transport! 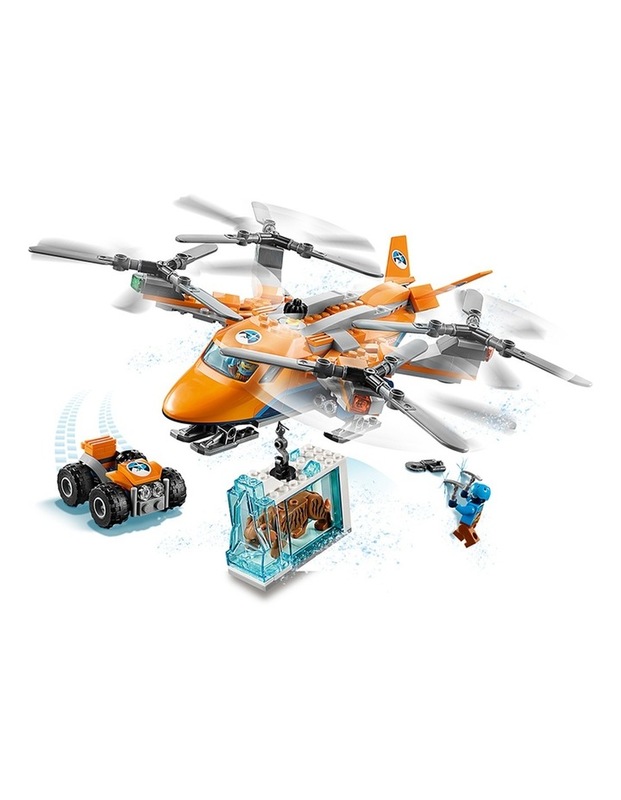 Climb up to the edge of the crevasse and help guide the quadrocopter in to hover mode so the pilot can lower the hook. Catch it and secure the hook in the ice block, then give the thumbs up to haul it away. Race back to base camp on the ATV as fast as you can to analyze the rare find! 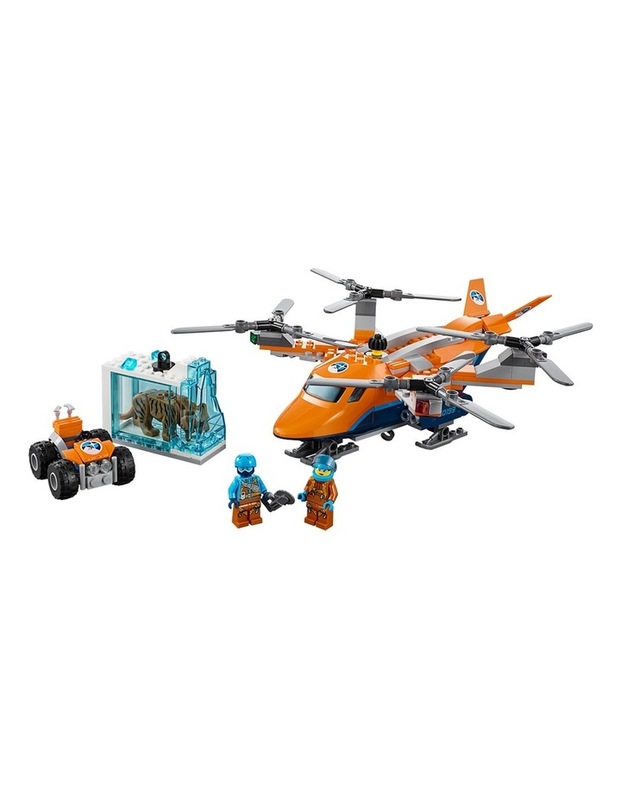 Age: 6-12; 277 Pieces. Style No. 60193.